David Suzuki blames sceptics, business, government and everyone else for environmentalism’s failures, but acknowledges HE’S WASTED HIS LIFE. You’re asking someone who’s been, I think, a TOTAL FAILURE. I’ve done the best I could, but I don’t see much traction. Suzuki’s LEGACY is DESTROYED ECONOMIES, CATASTROPHIC CARNAGE OF BUSINESS FAILURES, LOST JOBS AND HARDSHIP FOR PEOPLE, POLITICAL INTERFERENCE, and WEAKENED COMMUNITIES. Because of Suzuki’s ANTI-PESTICIDE PARTISAN SUBVERSION, businesses operating in the professional lawn care industry were EXTENSIVELY DAMAGED AND DESTROYED. 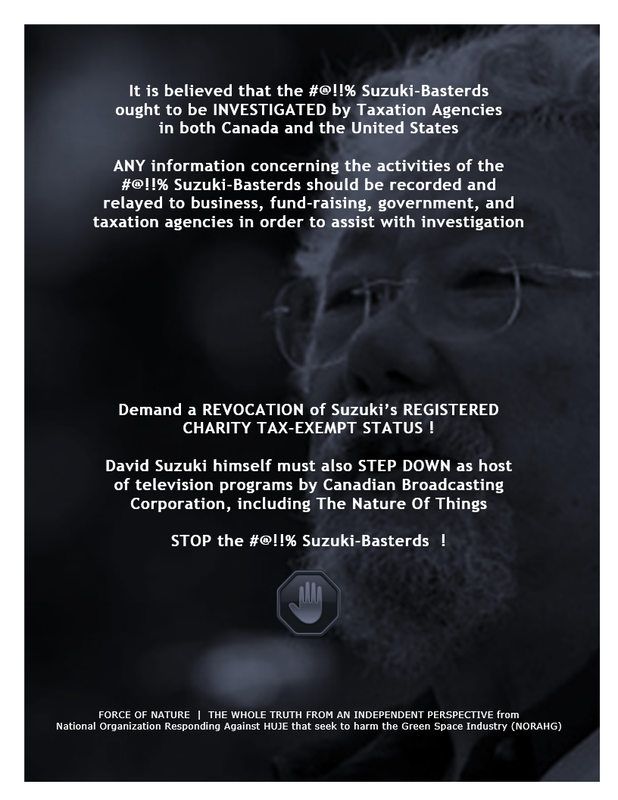 Suzuki also INTERFERED IN PARTISAN POLITICS, again and again and again. 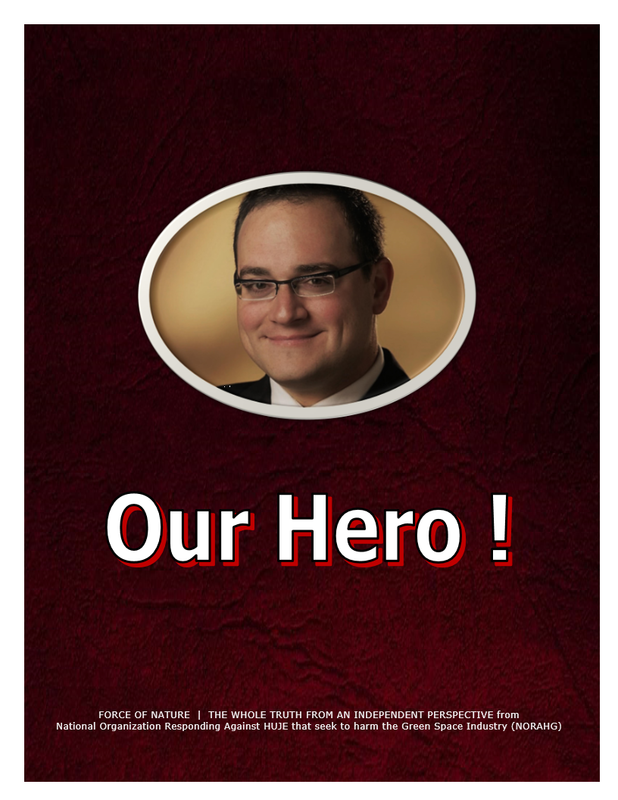 For example, Suzuki’s ACTS OF POLITICAL INTERFERENCE in the Ontario 2011 General Election finally RAISED SERIOUS QUESTIONS ABOUT HIS FOUNDATION’S CHARITY TAX-EXEMPT STATUS. 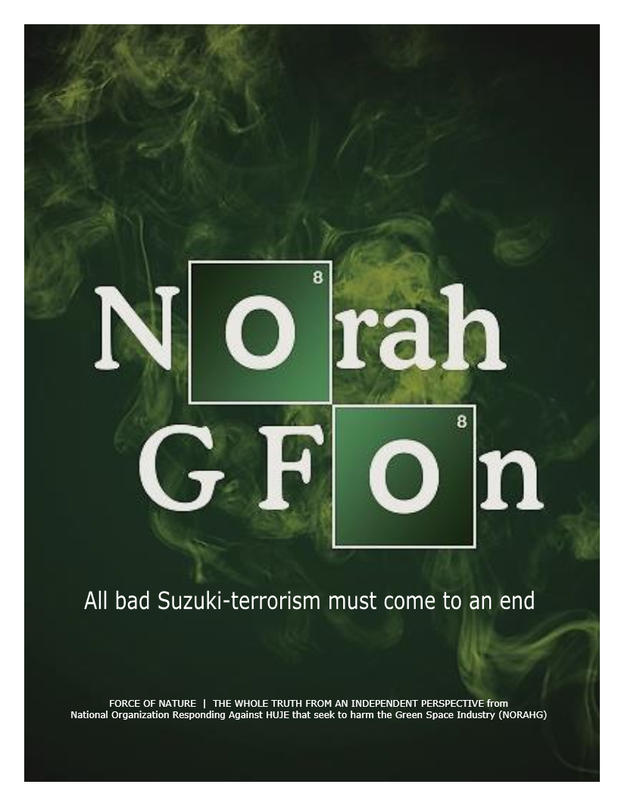 Consequently, Suzuki himself was quietly FORCED TO STEP DOWN FROM THE BOARD OF DIRECTORS of his beloved David Suzuki Foundation. This represented the ULTIMATE HUMILIATION AND FAILURE for Suzuki. Suzuki FELT A SENSE OF BITTER DEFEAT. After a lifetime of being RECKLESS, DANGEROUS, DESTRUCTIVE, HYPOCRITICAL, INSATIABLE, and PARTISAN, Suzuki essentially became OSTRACIZED from his own beloved foundation. 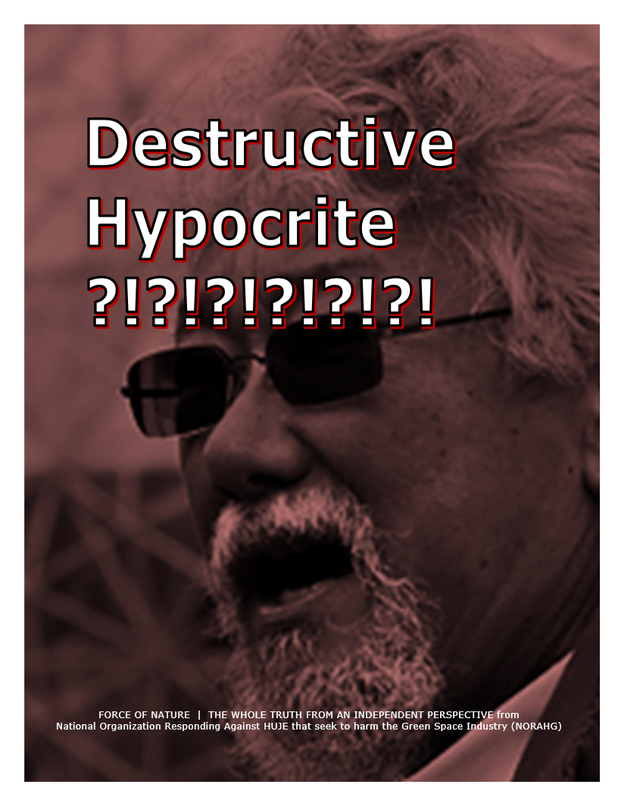 On November 6th, 2013, David Suzuki, will ORCHESTRATE A MOCK-TRIAL for SEDITIOUS LIBEL at the Royal Ontario Museum. This event is MERE HYPOCRISY since it will be no more than a propaganda-fueled publicity stunt. It is also likely that this event is a form of REPENTANCE for Suzuki himself to ATONE FOR HIS FAILURES as an Enviro-Terrorist. Nonetheless, Suzuki deserves a REAL courtroom and a REAL jail cell ! Only then will all of his FAILURES and HYPOCRISY be proven once and for all. 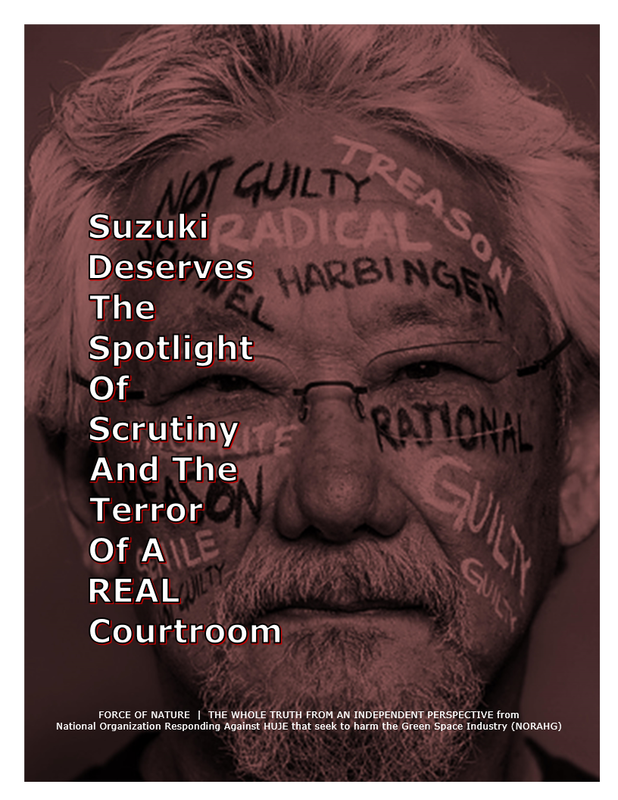 Suzuki also deserves a REAL courtroom because he is also RECKLESS, DANGEROUS, DESTRUCTIVE, INSATIABLE, and PARTISAN. 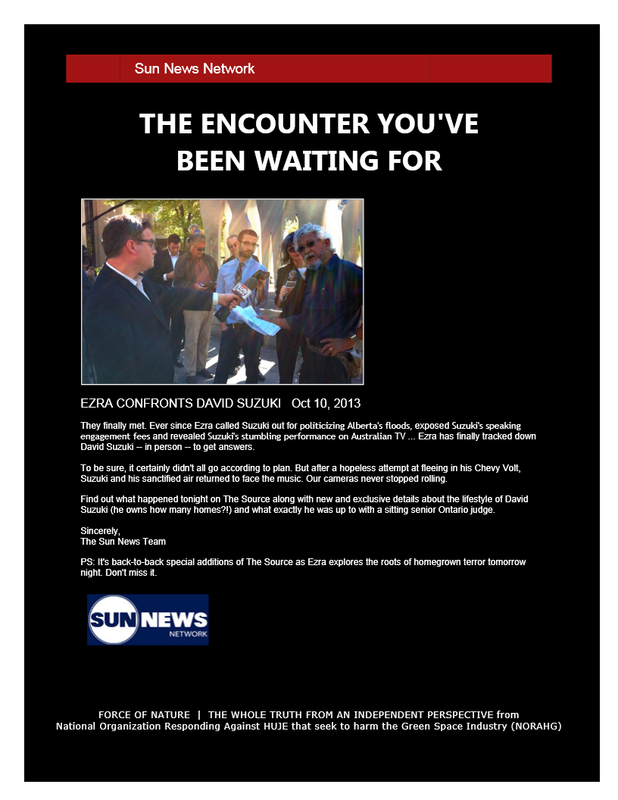 Mr. Ezra Levant has REPEATEDLY CONFRONTED David Suzuki on several issues. Suzuki attempts to RUN AWAY from Mr. Levant, and REFUSES to give any serious interview that would clarify his OUTRAGEOUS ALLEGATIONS and OPULENT LIFE-STYLE CHOICES. 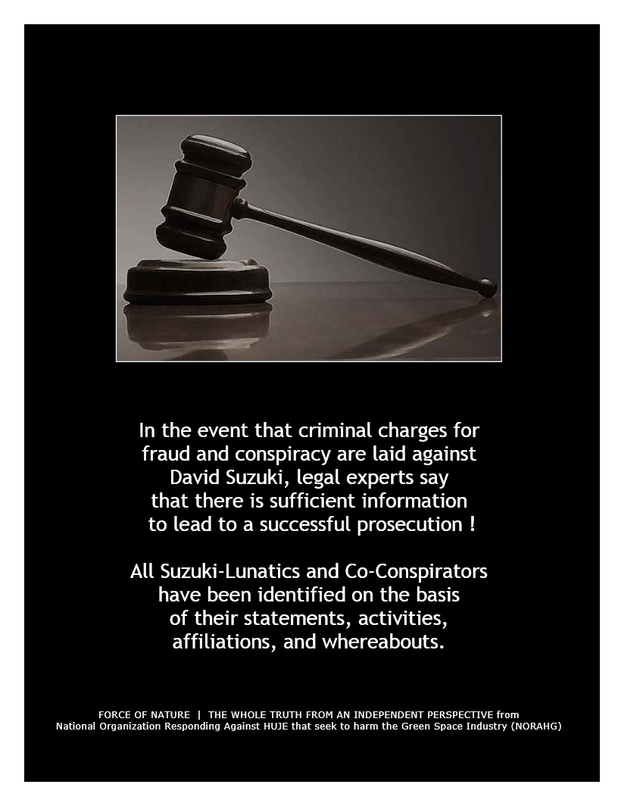 • Suzuki orchestrates a mock trial for seditious libel for the mere purpose of propaganda. Mr. Levant and Suzuki finally met in public on October 10th, 2013. Now’s the time to take science seriously. Too often, the role of science in solving our social, medical, and economic problems is poorly understood be-cause the nature of scientific research, discovery, and application is not understood. That can’t happen when science funding becomes a political hockey puck slapped around by whichever party comes into power. We need generous long-term support for our top scientists [ LIKE THOSE AT HEALTH CANADA ?!?! ] so that they can create clusters of enthusiastic, inspired researchers. Evidently, Suzuki SUPPORTS SCIENTISTS … WHEN IT SUITS HIM. Suzuki DEMANDS that people who DO NOT AGREE WITH HIM MUST FACE CRIMINAL CHARGES. And, Suzuki, evidently DOES NOT SUPPORT those SCIENTISTS working for Pest Management Regulatory Agency of Health Canada. Suzuki DEMANDS that all industries dependent upon pest control products, in essence, MUST BE DESTROYED. How can any society make important decisions about environmental issues when so-called elder enviro-lunatics like Suzuki are such HYPOCRITES ? How can any society make important decisions about pest control products without the expertise of the SCIENTIFICALLY LITERATE AND INFORMED Health Canada ? In fact, Suzuki himself has NO expertise whatsoever in matters relating to pest control products. He is, in fact, a NON-EXPERT DESTRUCTIVE HYPOCRITE. 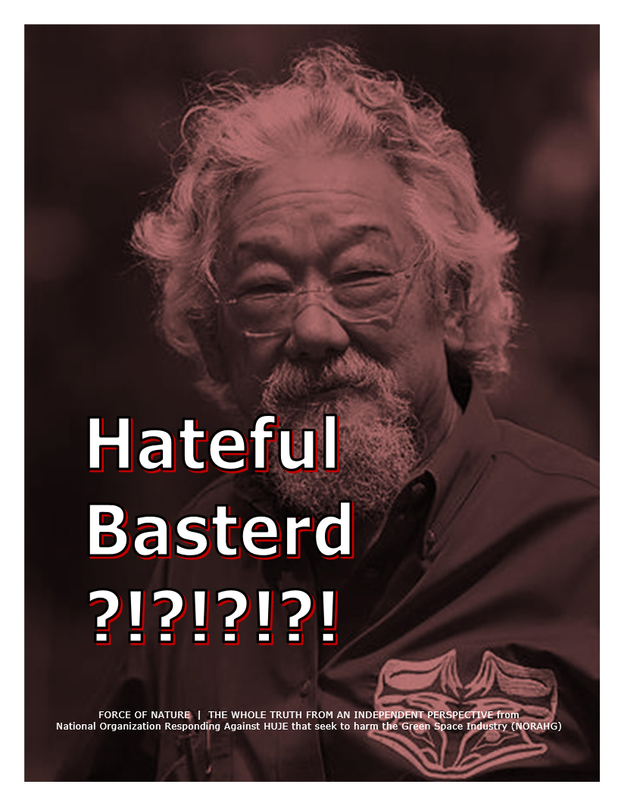 Observers have suggested that DAVID SUZUKI HATES PEOPLE. Suzuki appears to HATE those people who are OPPOSED to his views. Seemingly, Suzuki also HATES EVERYONE IN THE LAWN CARE INDUSTRY, and has DESTROYED IT by RUINING BUSINESSES and PUTTING PEOPLE OUT OF WORK. Suzuki HATES GOLFERS and DESPISES THE GAME OF GOLF. He continues to DEMAND MORE PROHIBITIONS against pest control products, and, consequently, MORE TERROR, DESPAIR, and DESTRUCTION. 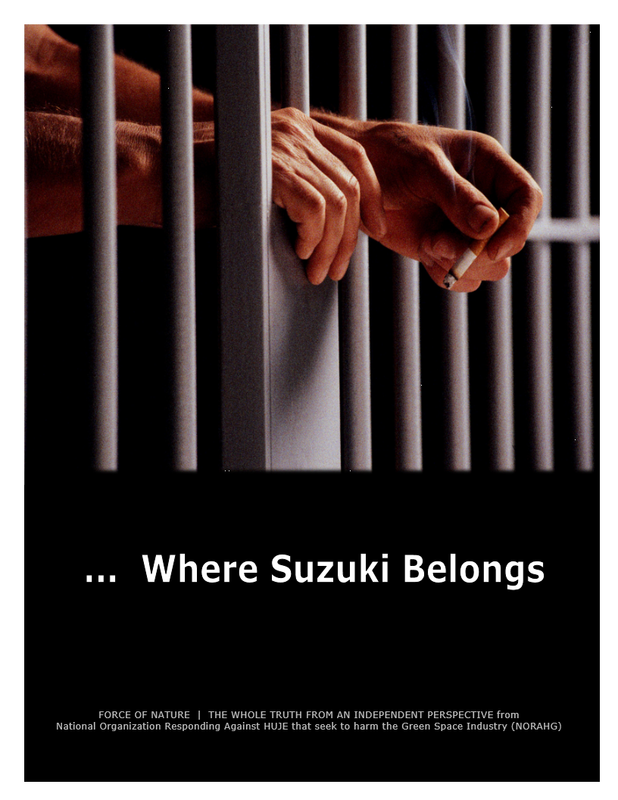 Suzuki's DEMANDS FOR DESTRUCTION is not simply confined to commercial industries. You could have a car accident. That would mean money spent on repairs, insurance, investigations, and maybe even a new car. SUZUKI TRULY HATES PEOPLE, EVEN HIS FANS. Suzuki HATES HIS FANS by STARING AT THEM WOODENLY WITH ICY SILENCE. He DOES NOT BELIEVE IN FREEDOM OF THE PRESS, and AVOIDS THE SPOTLIGHT OF LEGITIMATE SCRUTINY. Suzuki HATES HUMANS because he believes they are MAGGOTS. Suzuki HATES SANTA CLAUS and RUINS CHRISTMAS FOR CHILDREN. Suzuki even SENDS PROPAGANDA PACKAGES DIRECTLY TO SCHOOLS in order to BRAIN-WASH HAPLESS CHILDREN with Enviro-Lunatic PROPAGANDA. He is, in fact, a NON-EXPERT HATEFUL BASTERD with DEPRAVED INDIFFERENCE. See the reports and references below.